It’s very important to massage the kale first. I know- WTF?! – that’s exactly how I felt the first time I was told to do that. But, in pure, raw form, kale can be be bitter and tough (which is maybe how you’ve had it in the past and why you’re not such a fan at this moment). 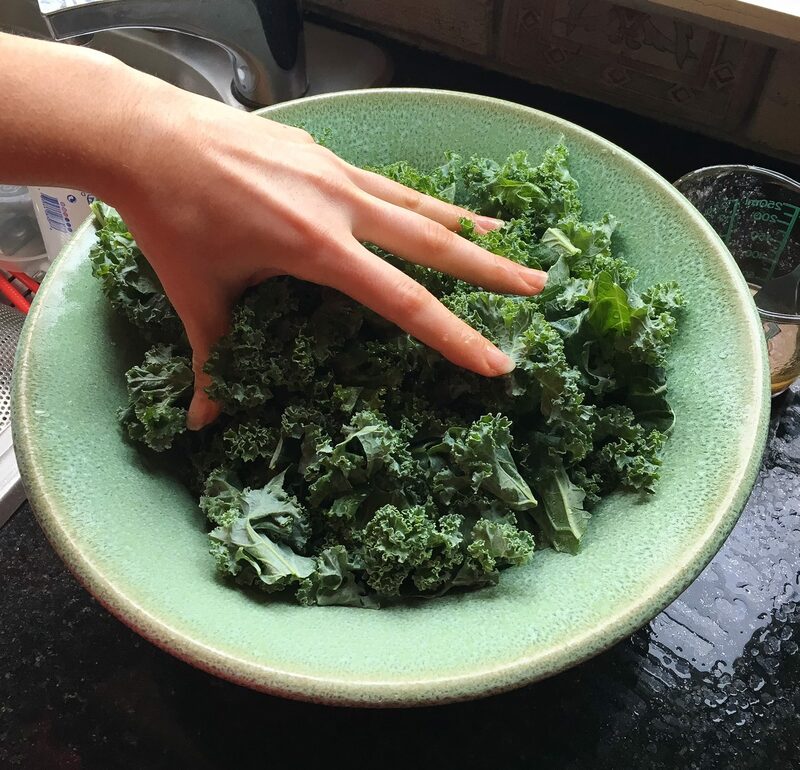 Massaging the kale helps to break down the cellulose structure of the leaves, making them silky, slightly sweet, and more vibrant. Working olive oil into kale also has this effect, so I’ve sped up the wilting process by having you knead half the salad dressing into the leaves during this preparatory step. I prefer this salad after it’s had time to sit for awhile. 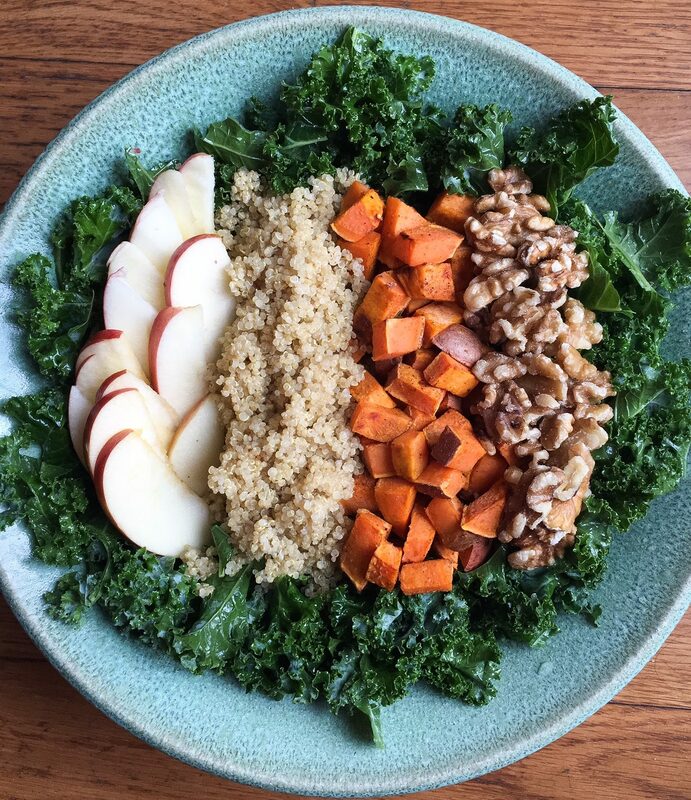 Typically I hate when a salad sits dressed in the fridge because it gets soggy, but in this version I feel it allows all the flavors to mingle more as the kale continues to soften and the quinoa and potatoes cool (plus, the dressing is very li. The great thing is, this can be eaten cold, room temperature, or hot! 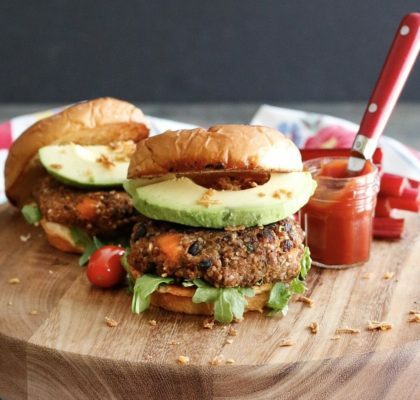 Per calorie, kale has more iron than beef. This is extremely important to me since a couple months ago I found out my ferritin levels (iron stores) were at an 8, when baseline should be a 40. (This explains why I’m always so tired). I have always struggled with my iron levels being slightly low in the past, and I guess since I no longer eat meat, they dropped even further. Now, I make a conscious effort to eat plant based foods high in this mineral. 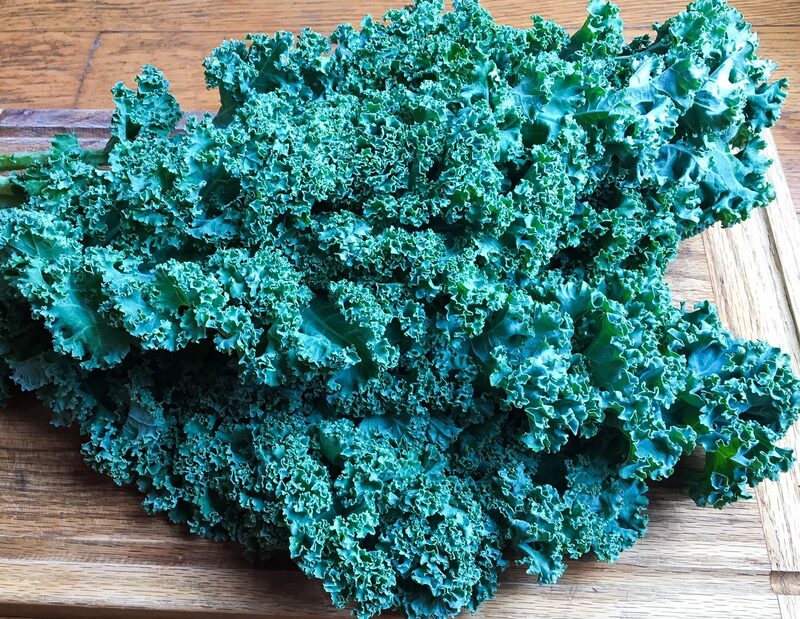 Per calorie, kale also contains more calcium than milk. Yes, despite what the government puts out on their Food Pyramid and dietary recommendations, you CAN get calcium from many sources besides dairy milk. Kale contains the most lutein of all foods, which is necessary to support eye health. My eye doctor just told me on my last visit how studies were being done using lutein to combat the eye damage that has become prominent from staring at electronic screens all day long, so I’m trying to load up on this vitamin! Extremely good source of Vitamin K- containing over 1000% of your daily value in one cup! Although this variety of potato is sweet, don’t shy away from it thinking it’s not healthy from you. 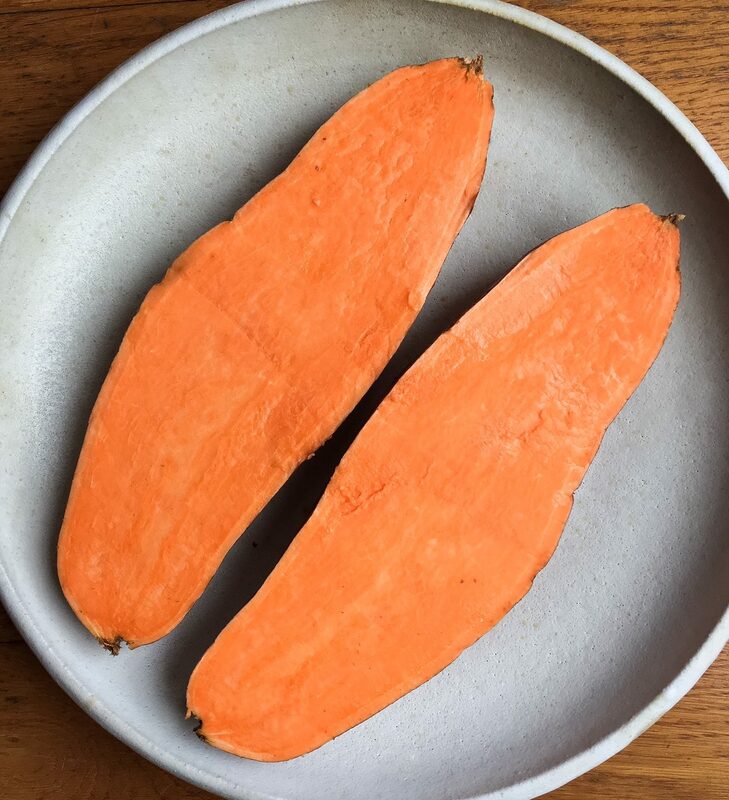 Sweet potatoes are considered a low-glycemic food (meaning it won’t spike your blood sugar the way refined, white sugar does) with studies showing this vegetable can even help improve blood sugar, lipids, and insulin levels in diabetics. 1 medium potato provides over 400% of your daily Vitamin A needs and is a powerful antioxidant. Vitamin A is essential for eye health, skin health, the immune system, and for the growth of cells & bones. One medium sweet potato contains 542 mg of potassium, an essential mineral in the body. Potassium is the mineral that works with sodium to balance the fluids and electrolyte levels in your body. “Think of it as the gatekeeper for fluid movement in and out of the body’s cells,” says Lisa Dorfman, R.D., a sports nutritionist at the University of Miami’s athletic department. Most of the sodium in your body is stored outside your cells, while most of the potassium is stored within. Yet because of their different concentration levels, potassium constantly wants to get out and sodium wants to get in. The transfer of these two crucial minerals in and out of the cells–the “sodium-potassium pump”–comprises 20 to 40 percent of an adult’s resting energy expenditure. 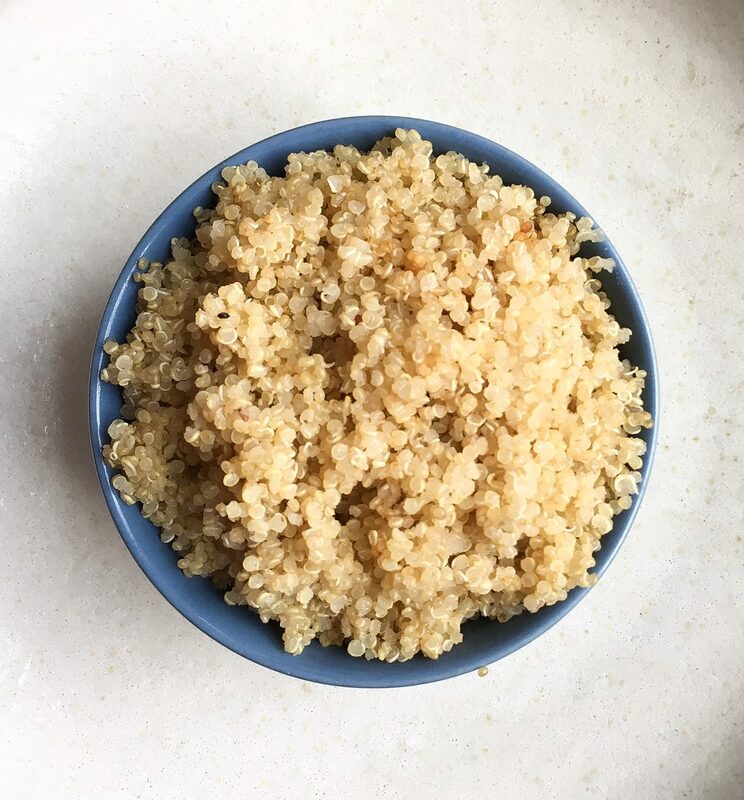 Quinoa is an amazing addition to any diet, but specifically those who follow a plant-based lifestyle since it is a complete protein by itself, meaning it contains all 9 essential amino acids. 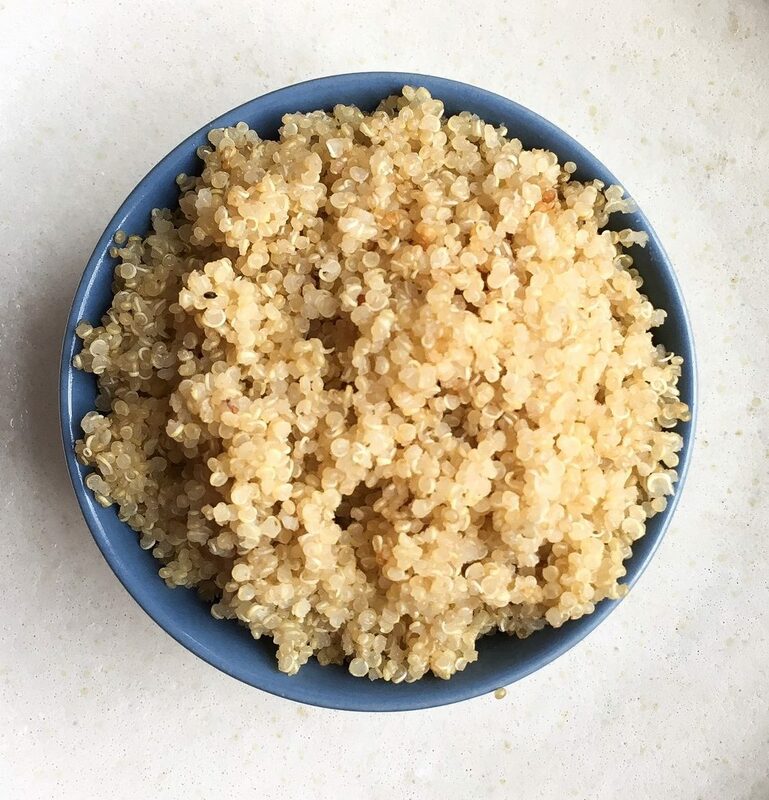 Per serving, this grain provides 8g of protein. 1 serving provides 12% of your daily Riboflavin (vitamin B2) which helps facilitate proper energy production in cells. All the B vitamins help your body convert carbs into glucose (fuel that your body burns) to produce energy, and B2 specifically helps convert vitamin B6 and folate into forms the body can use. 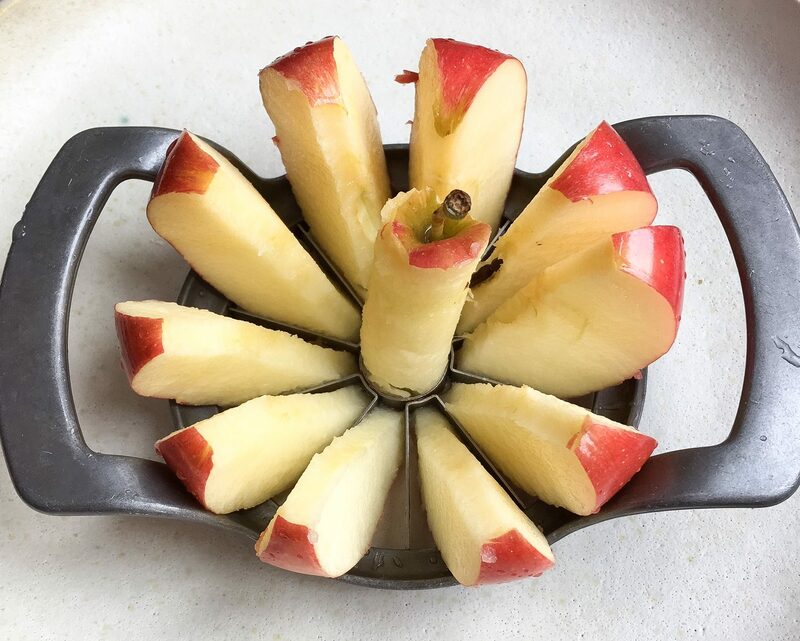 Several studies have been done with apples and neurological health- as of right now, the results show that they help protect neuron cells from oxidative stress and may help prevent against neurodegenerative diseases such as Alzheimer’s. Apples are often touted as a “weight loss” food, and while there are no magical fat-burning properties to this fruit, a medium sized apple provides about 5g of fiber, helping you to feel full on less calories, in addition to their high water content. 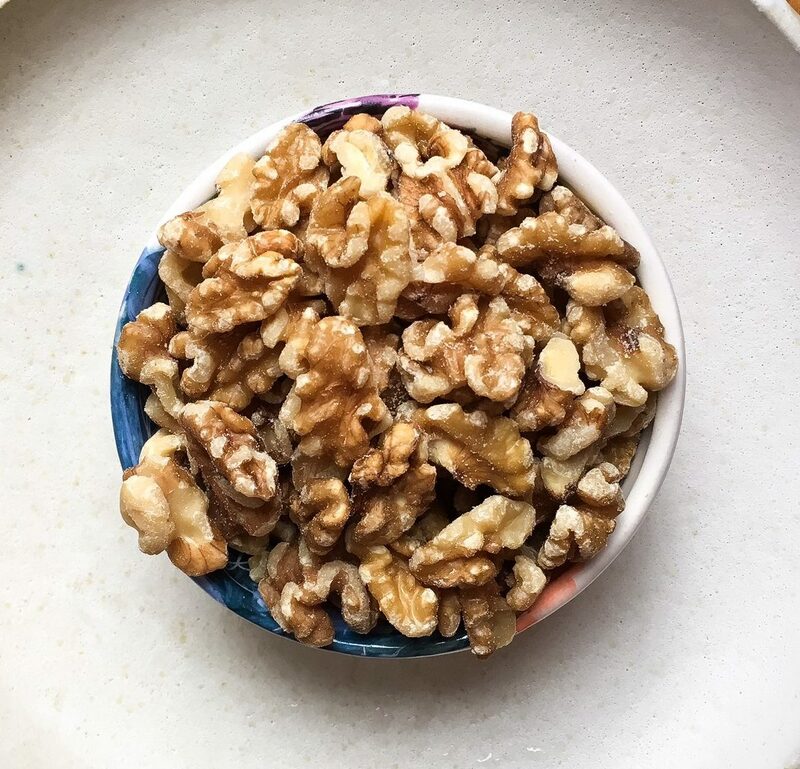 In my opinion, walnuts are the healthiest nut because they are extremely high in Omega-3’s- 1/4 cup provides 113% of your recommended daily value. Omega 3’s provide the starting point for making hormones that regulate blood clotting and the contraction and relaxation of artery walls (improving blood vessel function). They also help the heart beat at a steady clip and not veer into a dangerous or potentially fatal erratic rhythm. Additionally these fats have been shown to reduce inflammation and lower blood pressure. (And if you haven’t tried my DIY walnut butter, put that at the top of your list! 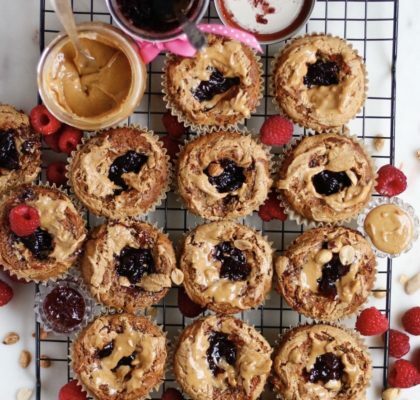 Nut butters are my absolute favorite food, and this recipe has become my favorite of all time). 1) Preheat the oven to 425F. In a small sauce pot, bring the quinoa and two cups of water or vegetable broth to a boil. (When using water, I like to sprinkle in some sea salt and onion powder to the water for more flavor, but that’s totally optional). Cover the pot, reduce the heat, and allow to simmer for about 15 minutes- until all the water is absorbed, and threadlike strands appear around the grains. 2) While the quinoa is cooking, dice the sweet potato. (You can peel the sweet potato prior to dicing it, but I choose to keep the skin on for faster prep and for added nutrition.) Transfer the cubes to a lined baking sheet. 3) Crush the garlic over the cookie sheet. Add the spices and the olive oil, then use your hands to toss everything together and coat the vegetables with spices. Bake for about 12-18 minutes, until the potato is soft and crisp. 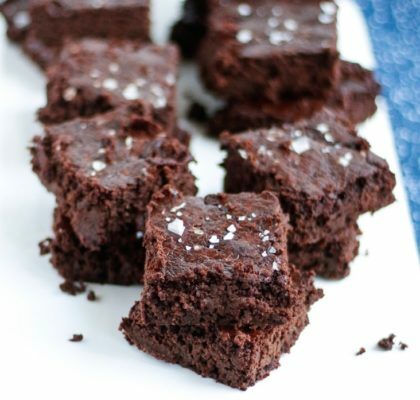 (Baking time will depend on how small you cut the cubes). 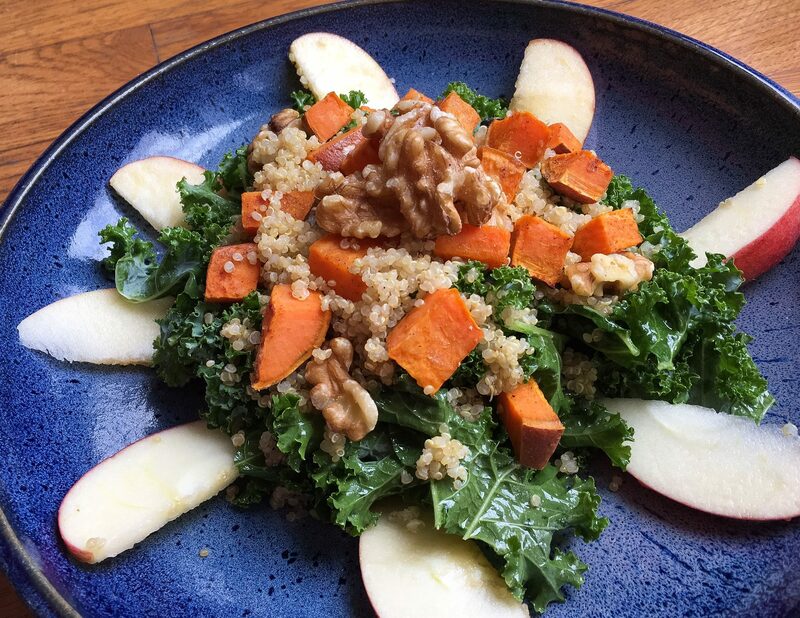 4) While the quinoa and sweet potato are cooking, wash the kale and remove it from the stems. Chop into thin pieces, and place in a large bowl. Next, combine the ingredients for the vinaigrette, then drizzle half of it over the kale- using your hands to massage the dressing into the leaves. Then dice the apple and add to the bowl. 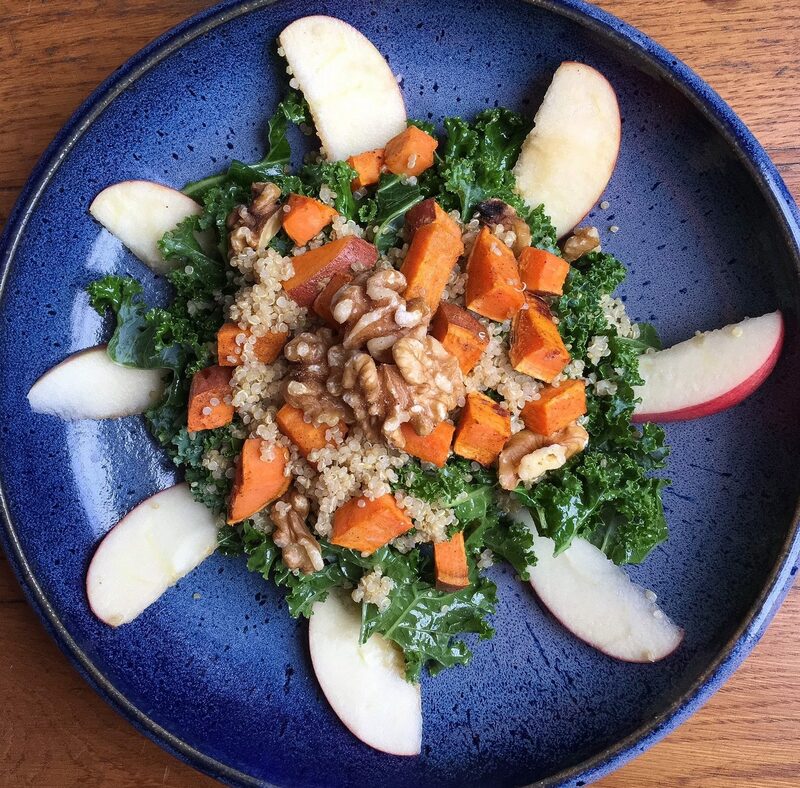 5) When the quinoa is finished, fluff with a fork and add to the kale (you can let it cool slightly if you wish) Then add the roasted vegetables and walnuts. Toss with the remaining salad dressing and serve either hot, cold, or room temperature, although I prefer it chilled (as it gives the kale time to soften and absorb more flavor from the dressing! ).